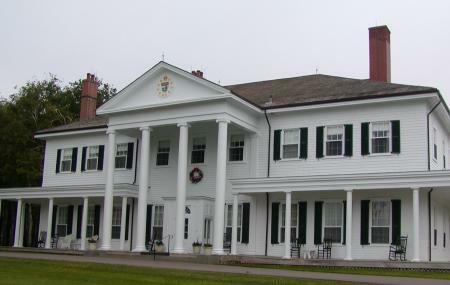 The official residence of the Lieutenant Governor of Prince Edward Island, built in 1834 in the Georgian style, Government house can be called a historical hot spot. If you are visiting during the months of July and August, take the free tour accompanied by a guide that takes you around the mansion and all its fascinating history that is depicted in the exhibits. The Government House enjoys enviable views of the Charlottetown Harbour and spread over about 100 acres of lush green land. The home has hosted the Queen and Prince Phillip who visited in 1959 and Edward, Prince of Wales who had come to the home many years earlier in 1860 and most recently the handsme Prince William and Kate too. Government House is open to the public for free guided tours during the months of July and August, Monday-Friday, from 10 a.m. - 3:30 p.m. It is best to hire a cab to visit the Government House. How popular is Fanning Bank? People normally club together St. Dunstan's Basilica and Victoria Park while planning their visit to Fanning Bank.